London, November 1968. The decade is drawing its last breath. In Marylebone CID, suspects are beaten in the cells and the only woman is resigning. Detective Sergeant Breen has a death threat in his intray and a mutilated body on his hands. The dead man was the wayward son of a rising MP with the ear of the home office - and everywhere Breen turns to investigate, he finds himself obstructed and increasingly alienated. But PR wary politicians can't stop him talking to the art dealer Robert 'Groovy Bob' Fraser; whose glamorous parties mask a spreading heroin addiction among London's young and beautiful. He begins to see that the abuse of power is at every level of society. And when his actions endanger those at the top, he becomes their target. Out in the cold, banished from a corrupt and fracturing system, Breen is finally forced to fight fire with fire. William Shaw paints the real portrait of London's swinging sixties. 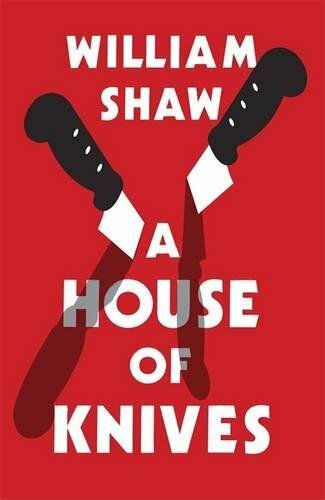 Authentic, powerful and poignant, A House of Knives reveals the shadow beyond the spotlight and the crimes committed in the name of liberation.